Yardley Chase, Northamptonshire, UK. BF image.. 29 Feb 2008. © C.F.Carter(chris.carter@6cvw.freeuk,com). Kingston, Washington, USA; golf course, 1000x, DIC. 31 May 2008. Kingston, Washington, USA; golf course, 1000x, DIC. 30 May 2008. Karl Bruun. © Karl Bruun (skogenman@earthlink.net). Peridinium cinctum (O.F.Müller) Ehrenberg Yardley Chase, Northamptonshire, UK. BF image. Published in: Ehrenberg, C.G. (1832). Über die Entwickelung und Lebensdauer der Infusionsthiere; nebst ferneren Beiträgen zu einer Vergleichung ihrer organischen Systeme. Abhandlungen der Königlichen Akademie Wissenschaften zu Berlin, Physikalische Klasse 1831: 1-154, pls I-IV. This is the type species (holotype) of the genus Peridinium. Popovsky & Pfiester (1990: 168) list this species with the authorities Peridinium cinctum Ehrenberg 1938. In the same work (p. 201) the name is also recorded with the authority 'Penard 1891’ as being a synonym of Peridiniopsis penardii (Lemmermann) Bourrelly 1968. Carty, S. (2014). Freshwater dinoflagellates of North America. pp. [i]-viii, , -260, 153 figs. Ithaca & London: Comstock Publishing Associates. A division of Cornell University Press. Dillard, G.E. (2007). Freshwater algae of the southeastern United States Part 8. Chrysophyceae, Xanthophyceae, Cryptophyceae and Dinophyceae. Bibliotheca Phycologica 112: [i-vi], 1-127, 22 pls. Lindberg, K., Moestrup, Ø & Daugbjerg, N. (2005). Studies on woloszynskioid dinoflagellates I: Woloszynskia coronata re-examined using light and electron microscopy and partial LSU rDNA sequences, with description of Tovellia gen. nov. and Jadwigia gen. nov. (Tovelliaceae fam. nov.). Phycologia 44: 416-440. Schiller, J. (1935). Dinoflagellatae (Peridineae). In: Dr. L. Rabenhosrst's Kryptogamen-Flora von Deutschland, Österreich und der Schweiz, 2. Aufl. X. Band, 3. Abt. 2 Teil. ( Eds), pp. 1-320. Leipzig: Akademische Verlagsgesellschaft M.B.H..
Schilling, A.J. (1913). Dinoflagellatae (Peridineae). In: Die Süsswasser-Flora Deutschlands, Österreichs und der Schweiz. Heft 3. (Pascher, A. Eds), pp. -iv, 1-66. Jena: Verlag von Gustav Fischer. Sournia, A. (1986). Atlas du phytoplancton marin. Volume I: Cyanophycées, Dictyophycées, Dinophycées, Raphidophycées. pp. -219. Paris: Éditions du Centre National de la Recherche Scientifique 15, quai Anatole France - 75700 Paris. Steidinger, K.A. & Tangen, K. (1996). Dinoflagellates. 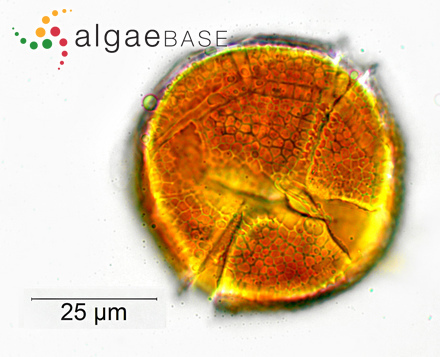 In: Identifying Marine Phytoplankton. (Tomas, C.R. Eds), pp. 387-584. San Diego: Academic Press. Thompson, R.H. (1947). Fresh-water dinoflagellates of Maryland. Contributions from the Chesapeake Biological Laboratory 67: 3-24. Accesses: This record has been accessed by users 11792 times since it was created. Berdach, J.T. (1977). In situ preservation of the transverse flagellum of Peridinium cinctum (Dinophyceae) for scanning electron microscopy. Journal of Phycology 13: 243-251. Berman, T. & Roth, I.L. (1979). The flagella of Peridinium cinctum fa. westii: in situ fixation and observation by scanning electron microscopy. Phycologia 18: 307-311, 12 figs. Calado, A.J., Hansen, G. & Moestrup, Ø. (1999). Architecture of the flagellar apparatus and related structures in the type species of Peridinium, P. cinctum (Dinophyceae). European Journal of Phycology 34: 179-191, 57 figs. Chapman, A.D. & Pfiester, L.A. (1995). 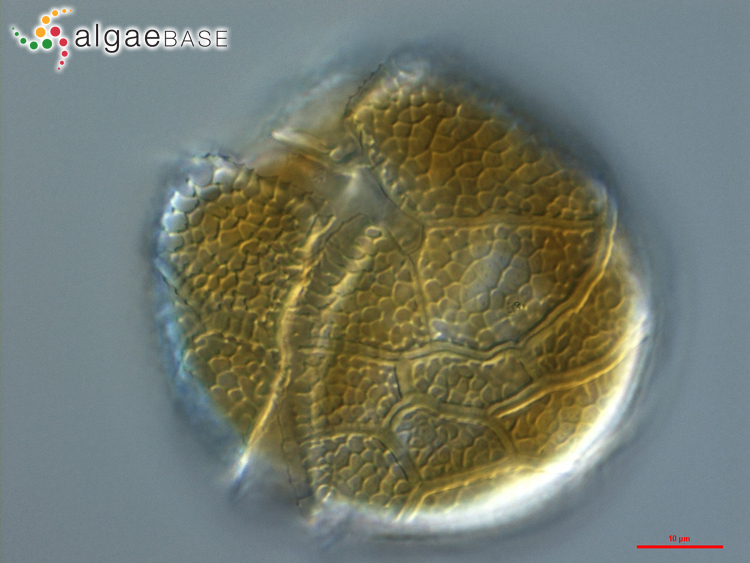 Note: The effects of temperature, irradiance, and nitrogen on the encystment and growth of the freshwater dinoflagellates Peridinium cinctum and P. willei in culture (Dinophyceae). Journal of Phycology 31: 355-359, 2 figs, 2 tables. Dürr, G. (1979). Elektronenmikroskopische Untersuchungen am Panzer von Dinoflagellaten II. Peridinium cinctum. Archiv für Protistenkunde 122: 88-120. Dürr, G. (1979). Elektronenmikroskopische untersuchungen am panzer von dinoflagellaten III. Die zyste von Peridinium cinctum. Archiv für Protistenkunde 122: 121-139. Elgavish, A., Elgavish, G.A., Halmann, M. & Berman, T. (1980). Phosphorus utilization and storage in batch cultures of the dinoflagellate Peridinium cinctum f. westii. Journal of Phycology 16: 626-633, 8 figs, 4 tables. Elgavish, A., Halmann, M. & Berman, T. (1982). A comparative study of phosphorus utilization and storage in batch culture of Peridinium cinctum, Pediastrum duplex and Cosmarium sp., from Lake Kinneret (Israel). Phycologia 21: 47-54. Evens, T.J. & Niedz, R.P. (2010). Quantification of nutrient-replete growth rates in five-ion hyperspace for Chlorella vulgaris (Trebouxiophyceae) and Peridinium cinctum (Dinophyceae). European Journal of Phycology 45(3): 247-257. Lindström, K. (1984). Effect of temperature, light and pH on growth, photosynthesis and respiration of the dinoflagellate Peridinium cinctum fa. westii in laboratory cultures. Journal of Phycology 20: 212-220, 8 figs, 4 tables. Messer, G. & Ben-Shaul, Y. (1972). Changes in chloroplast structure during culture growth of Peridinium cinctum Fa. 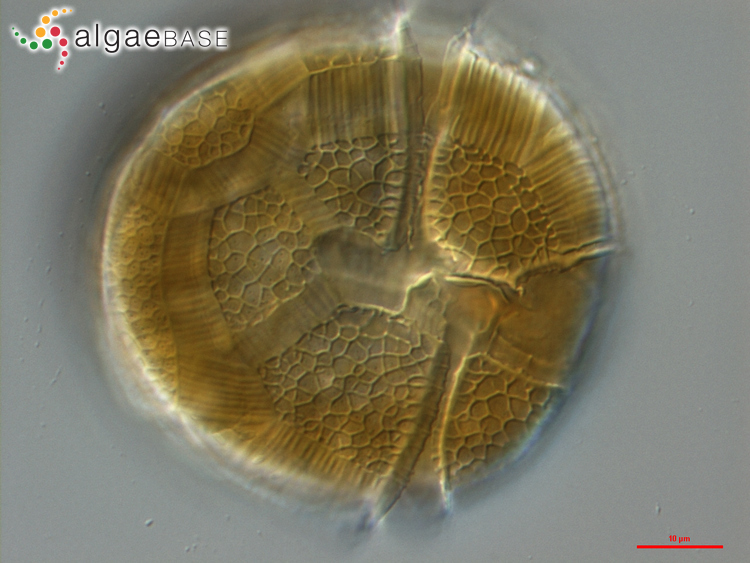 westii (Dinophyceae). Phycologia 11: 291-300, 9 figs, 1 table. Pfiester, L.A. & Carty, S. (1985). Note: UTEX 1336: Peridinium cinctum or Peridinium volzii (Dinophyceae)?. Journal of Phycology 21: 509-511, 6 figs. Pfiester, L.A. & Skvarla, J.J. (1980). Comparative ultrastructure of vegetative and sexual thecae of Peridinium limbatum and Peridinium cinctum (Dinophyceae). American Journal of Botany 67: 955-958. Pfiester, L.A. (1975). Sexual reproduction of Peridinium cinctum f. ovoplanum (Dinophyceae). Journal of Phycology 11: 259-265. Pollingher, U. & Serruya, C. (1976). Phased division of Peridinium cinctum f. westii (Dinophyceae) and development of the Lake Kinneret (Israel) bloom.. Journal of Phycology 12: 162-170, 6 figs, 3 tables. Pollingher, U. & Zemel, E. (1981). In situ and experimental evidence of the influence of turbulence on cell division processes of Peridinium cinctum forma westii (Lemm.) Lefèvre. British Phycological Journal 16: 281-287, 4 tables. Spector, D.L., Pfiester, L.A. & Triemer, R.E. (1981). 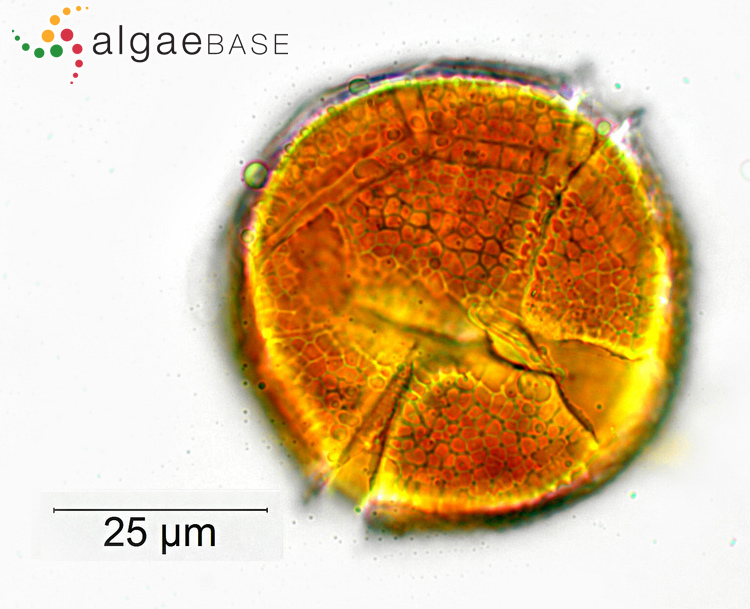 Ultrastructure of the dinoflagellate Peridinium cinctum f. ovoplanum. II. Light and electron microscopic observations on fertilization. American Journal of Botany 68: 34-43. Wynne, D. & Berman, T. (1980). Hot water extractable phosphorus-an indicator of nutritional status of Peridinium cinctum (Dinophyceae) from Lake Kinneret (Israel)?. Journal of Phycology 16: 40-46, 3 figs, 4 tables.